NASA's Deep Space Network, which is used to communicate with satellites such as the agency's Voyager, turned 50 on Tuesday. The milestone marks the technology's official creation; the bulk of the network is currently located in an area at Goldstone, CA, with other complexes spread between Canberra, Australia and Madrid, Spain, spread out at roughly 120 degrees of longitude to ensure constant communication. The Deep Space Network was borne out of the Deep Space Instrumentation Facility back in 1963, and quickly became the preferred network for planned missions into deep space. NASA's Voyager Twitter account on Tuesday commemorated the event by thanking the network for consistent coverage, even in interstellar space. The network has been part of some historic missions over the past 50 years, including coverage for Apollo 11's landing on the moon, when Neil Armstrong first set foot on the lunar surface; the network allowed Armstrong to communicate back to Earth, uttering some of the most famous words ever spoken: "That's one small step for man, one giant leap for mankind." Additionally, the Deep Space Network has allowed NASA to ping back images taken by Mars rovers, and document other encounters with planets at the outer edges of our solar system. "Today, the DSN supports a fleet of more than 30 U.S. and international robotic space missions," said Deep Space Network Project Manager Al Bhanji of NASA's Jet Propulsion Laboratory in Pasadena, CA. "Without the DSN, we would never have been able to undertake voyages to Mercury and Venus, visit asteroids and comets, we'd never have seen the stunning images of robots on Mars, or close-up views of the majestic rings of Saturn." At this moment, DSN supports NASA's Curiosity on Mars, the Spitzer Space Telescope, Saturn explorer Cassini, and two Voyager spacecrafts, tallying up more than 9.6 billion miles away from Earth. 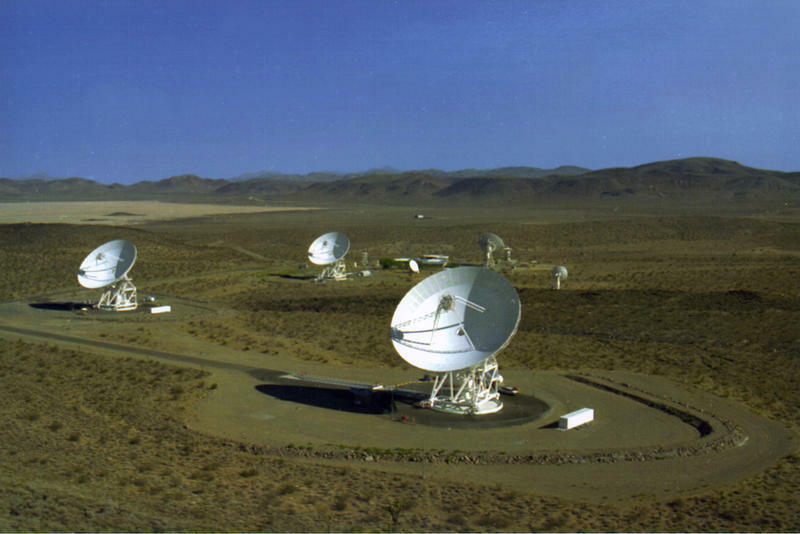 Over the decades, agencies in Europe, Japan and Russia have all relied on the DSN to communicate with their missions, and was most recently used by India's first interplanetary probe. According to NASA, the DSN doesn't just provide engineers with the ability to upload and download data, but also helps navigators pinpoint spots for landings and more. Additionally, part of the network at Goldstone helps researchers determine an asteroid's position, velocity and trajectory. "In 2063, when we celebrate the Deep Space Network's 100th anniversary, we can imagine that we might be recalling the amazing days when our antennas streamed high-res video as the first humans stepped onto the surface of Mars," Bhanji said. "Or that day when we discovered a new living 'Earth' orbiting a distant star." There's no telling when those milestones might actually happen—we're making new discoveries about Earth-like planets and Mars' past life everyday. But with 50 solid years already under the DSN's belt, the network will definitely play a huge role in the future.